And behind the curtain is…?!!! As human beings, we are taught (perhaps except in the era of Trump) about the importance of respecting others, and being sensitive to their views and feelings. Overall, this is a GOOD thing, and while money may make the world-go-round, empathy certainly makes the world a better place. But respecting sensitivities, as important as it is, should not usurp the truth. 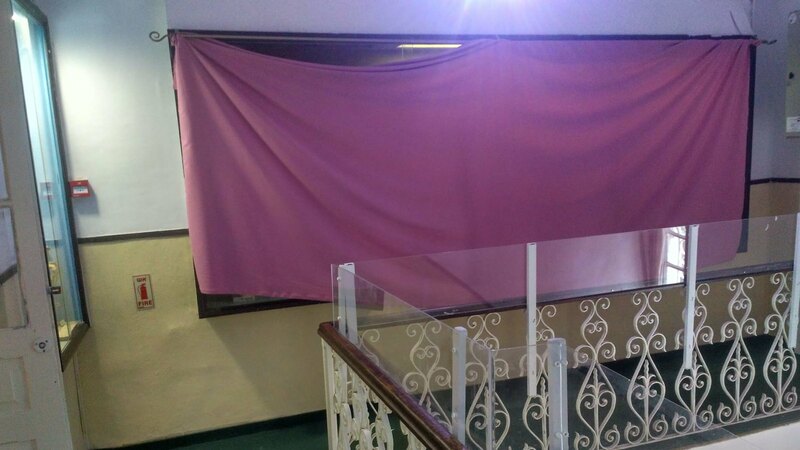 I will assume that no reader has a clue why I am including a photo of a purple curtain, but there is a method behind my madness. This photo is at the Nature Museum in Jerusalem, Israel, and behind the infamous curtain, hidden away from the patrons is an exhibit on evolution and Darwinism. Why is it hidden behind the curtain? Because this is the policy of the museum (i.e., government)–when kids from religious schools come to the museum, seeing such an exhibit upsets their sensitivities. This is a classic example of a case where sensitivities should NOT be accommodated. Scientific truth is not for sale. It should not be tampered with, muted, whittled down or hidden just because of someone’s religious beliefs. If one chooses not to “believe” scientific fact–well, that is hypocritical–because we are alive as part of the process of science, and we stay alive longer due to the science and medicine. The time has come for scientists and those who support science to become more vocal, and less “sensitive” to the “feelings” of those who oppose science. Contrary to what the current Trump administration would have people believe, science and truth are not negotiable. This entry was posted in Education, research, science, Uncategorized and tagged Darwin, evolution, religion, science, sensitivities, truth. Bookmark the permalink.